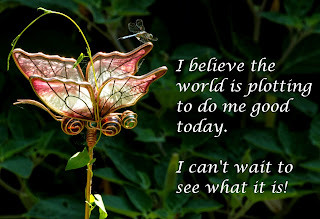 Bariatric Girl » Blog Archive » Let go…see opportunity in all things! If you take the approach that “good” is not an accident…that everyone and everything that shows up in your life is there for a reason and that everything is moving you toward your ultimate destiny for learning, growth, and achievement, you’ll begin to see every event (no matter how difficult or challenging) as a chance for enrichment and advancement in your life. If you don’t feel this way then shouldn’t we just stop, give up, not even try… and just wait for the inevitable? Doesn’t choosing the first option sound like the best path? It is the only path for me and I hope it appeals to you too. 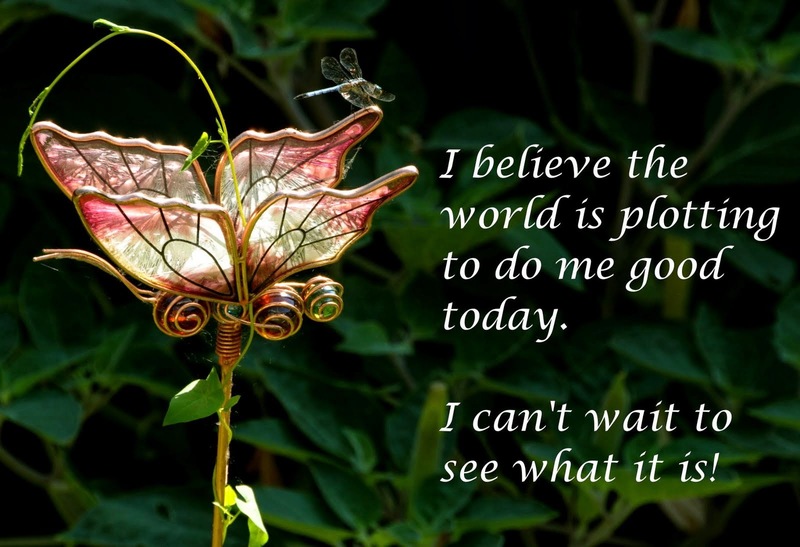 Is it so wrong to believe things can really happen for us if we believe in ourselves? Nope…but we have to put some effort in our journey. This has never been about the magic pill, the easy way out ….but it does open doors for you that were previously closed. The only reason those doors were closed to us before is because we believed we didn’t deserve it. Release the brakes and get out of your comfort zone because it is a largely self-created prison. “If you always do what you’ve always done, you’ll always get what you’ve always gotten.” Most people drive through life with their psychological emergency brake on. They hold on to negative images about themselves or suffer the effects of powerful experiences they haven’t yet released. They stay in a comfort zone entirely of their own making. They maintain inaccurate beliefs about reality or harbor GUILT and self-doubt…and when they try to achieve their goals, these negative images and preprogrammed comfort zones always cancel out their good intentions no matter how hard they try. The ones that walk a successful journey have discovered that instead of using increased WILLPOWER as the engine to power their success, it’s simply easier to “release the brakes” by letting go and replacing their limiting beliefs and changing their self-images. Isn’t that a relief? It isn’t about willpower….it’s about letting go and letting it happen the way you want it to. Jack Canfield also talks about baby elephants that are trained from a young age. If you tie a rope around a baby elephant’s leg it cannot escape. As the elephant gets larger it could certainly get loose but it doesn’t know it because the elephant has been trained that it cannot. The elephant believes it is real …so as silly as it is; the elephant’s belief makes it true. We do the same thing by continuing to buy into those self-limiting beliefs! Here are his three suggestions to break out of your comfort zone. 1. You can use affirmations and positive self talk to affirm already having what you want, doing what you want, and being the way you want. 2. You can create powerful and compelling new internal images of having, doing, and being what you want. 3. You can simply change your behavior. Quit being that baby elephant and take that rope off your leg. Run like there is no tomorrow and see yourself where you want to be. Every step you take is getting closer to what you really want out of your journey.